As voting approaches to elect local Councillors and the goings on in Parliament, by those who claim to be best placed to serve our interests, reaches new heights of incredulity (Panama Papers and politicians whose girlfriends are ladies of the night to name but two this past week) it is perhaps now more important than ever to use your voice and hold to account those who spend our hard-earned cash. Madwblog’s new favourite pastime is making freedom of information (FOI) requests. I have several ongoing and are linked to a complaint I made to Anthony Cox back in February over ‘that’ flier. I am pleased to say that Anthony has been in touch recently and the complaint is making progress. As soon as there is more to tell, it will appear here. 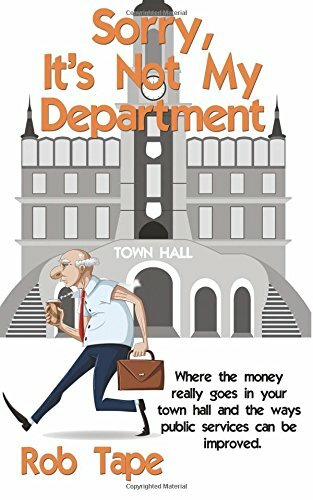 As a result of making these FOI requests, Rob Tape got in touch to tell me about a book he has written: ‘Sorry, it’s not my department’. Which is exactly what it says it is. 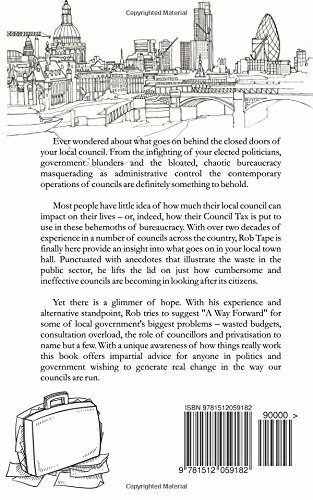 An honest view of the workings of a typical Town Council. Reviews of the book on Amazon suggest that it not only outlines all too familiar failings, but also offers suggestions on how things could be improved. I have ordered my copy and I’m hoping to learn some new tricks. Look out for a review! Northfields Way – Traffic Regualtion Order has begun. Community champion and friend of madwblog, Laura Terry (Area Partnership Manager, Walsall Council) has been in touch to advise on the next stage in the process of placing barriers on Northfields Way. After the community consultations in March, Laura took all the comments forward and the advice returned that a Traffic Regulation Order (TRO) would be put in place to give notice of the intention to close Northfields Way to traffic. This has now begun (15th April) and there follows 3 weeks in which concerns or objections can be raised. “Thank you for following closely the work we have undertaken in relation to Northfields Way. As you are aware the TRO was scheduled to commence today and as such I provide you with an update below. I will endeavour to contact individual residents who have requested an update when I am back in the office on Monday – I mention this for your information should you receive comments or queries regarding correspondence via your blog. We are required to work in accordance with the Local Authorities’ Traffic Regulation Order Procedures. In respect of publication the requirement is to publish the ‘notice of proposals’ in a newspaper circulating in the area in which any road or other place to which the order relates to is situated. In this instance we have used the Walsall Advertiser as it is circulated within the WS8 postcode. We have also taken a further measure to publicise our proposals which includes the display of on-street notices. As ever, this is a fully open and democratic process and should you have any concerns or objections please make them through the correct channels. Whilst Laura posts to Clayhanger now has a Community Centre and madwblog Facebook pages, she cannot respond on these pages to any questions you may raise. What Do They Know? is the website which handles FOI requests. It is an open site and all requests are made public. As this is not a satisfactory answer, madwblog has requested an internal review as this is next step in the procedure. ‘Thank you for your reply. Unfortunately, I am not satisfied with the answer. Does this mean that Walsall Council does not have a social media policy? ‘Please pass this on to the person who conducts Freedom of Information reviews. I am writing to request an internal review of Walsall Metropolitan Borough Council’s handling of my FOI request ‘Policy on sharing planning information decisions with the public’. Again, I shall await a reply. Composed image by C4CJ. Aerial shot kindly by P Hummings. Despite madwblog beginning with a rant back on 11th February 2016, there was an element of planning involved in its inception. I had already begun a short online course in Community Journalism hosted by The Centre for Community Journalism (C4CJ) at Cardiff University. Naturally, I discussed the blog in the forums and signed madwblog up as part of the Centre for Community Journalism network of hyperlocal blogs. In the forums I got to chat with bloggers from all over the world, many of whom were reporting events from politically unstable parts of the globe including Africa and the Middle East. Enter stage left, the hyperlocal. Folk like me and Brownhills Bob and many, many others in Walsall alone, report on local news and fill the gap. Proper local – like in your street. I was asked by C4CJ to write a piece on the development of madwblog for their website. I did. A very talented lady called Hannah Scarbrough at C4CJ edited it and made it super slick and here it is.